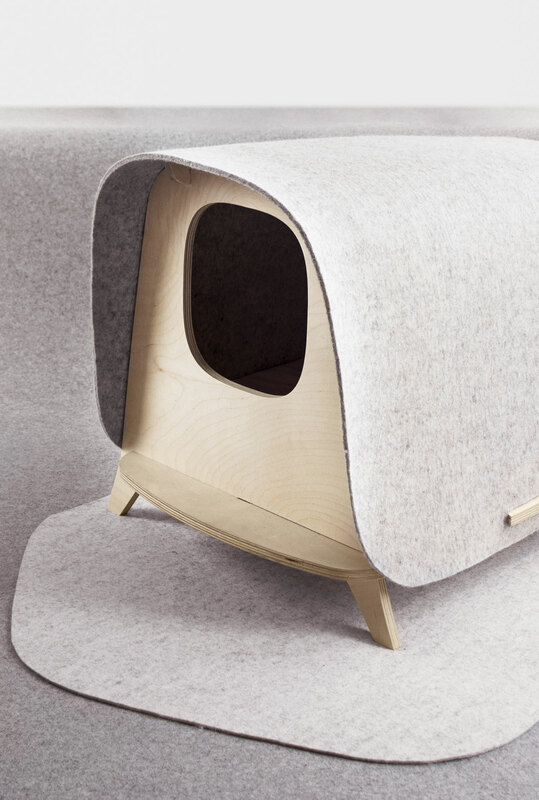 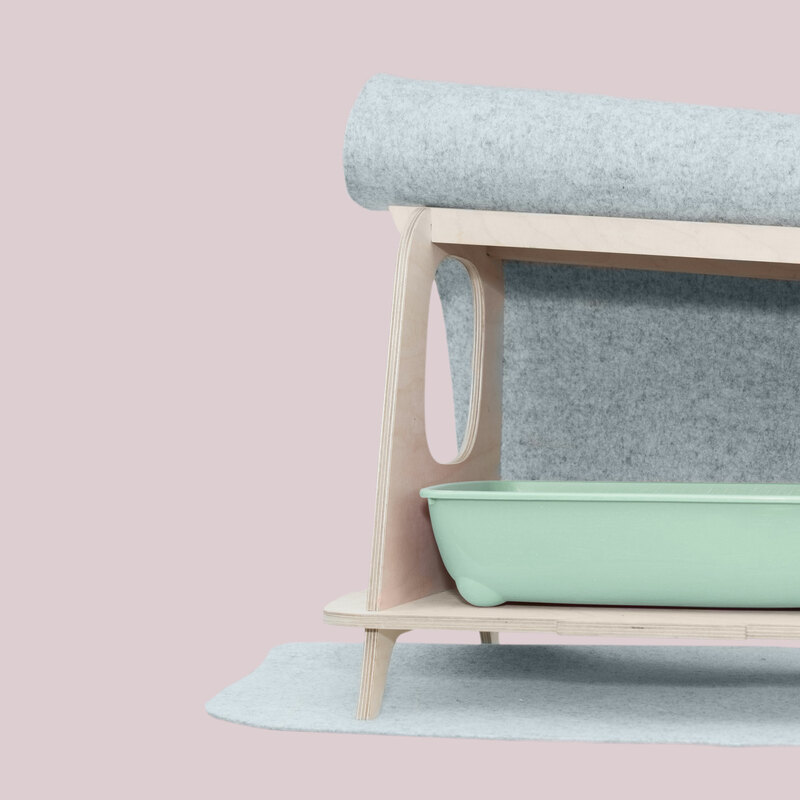 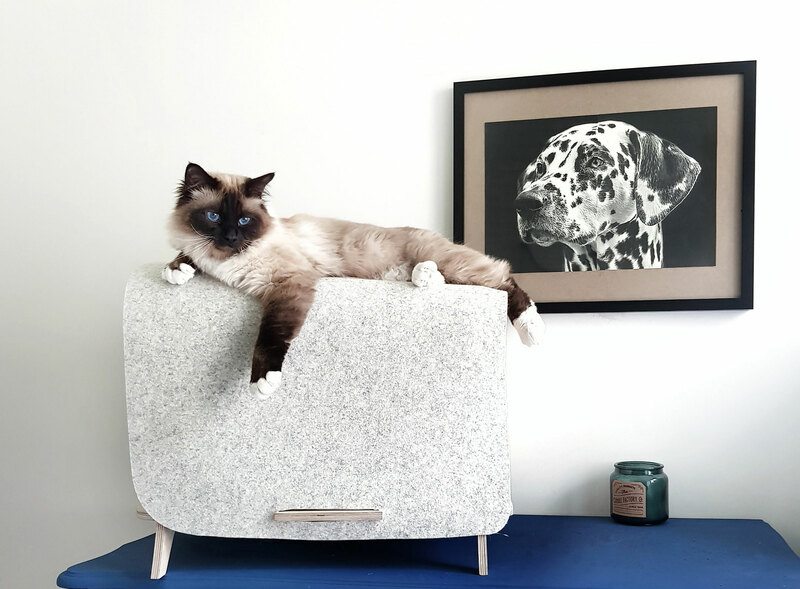 The Wool Lodge is multipurpose product : it can be either a safe space as natural as possible that camouflages harmoniously the cat’s litter box or a pet shelter when used with a inner cushion for a zen-like bubble isolated from noise and extreme temperatures. 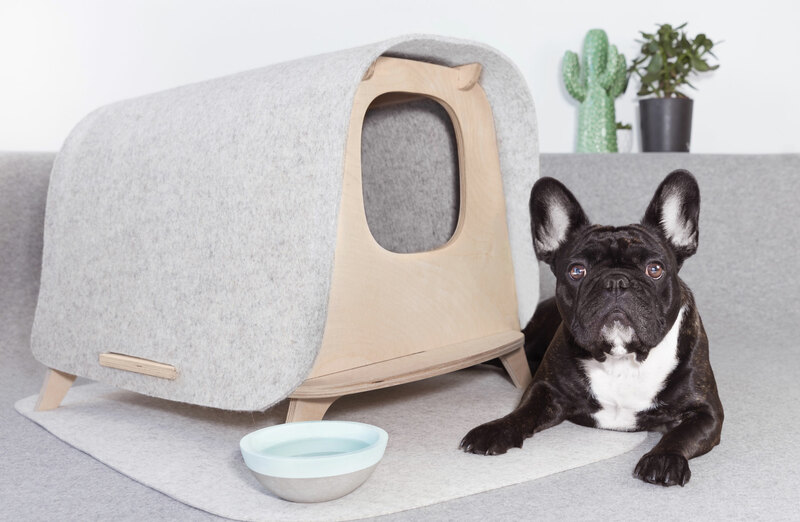 The Wool Lodge is made of 2 parts: a merino wool felt roof and a wooden structure and the full product can be sent flat-pack. 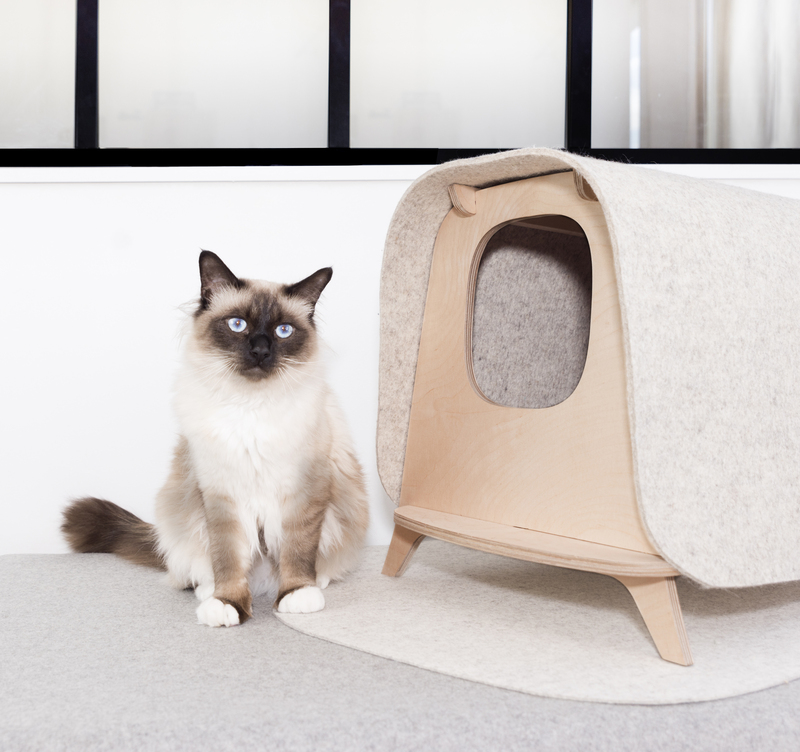 Designed for everyday use, you can easily open the roof from the sides and get an access to clean the litter tray as often as needed.